It a boon to diabetics and health conscious people.It Control the calorie intake especially for Diabetic patients. PACK SIZE: The pack comes in two different size is 50 and 200 pallets. It a boon to diabetics and health conscious people.Ideal for cooking and baking as well as adding to beverages.Heat stable. 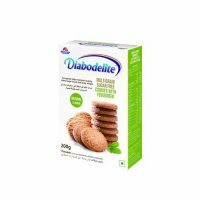 Has negligible calories – Good for diabetics and weight-watchers. 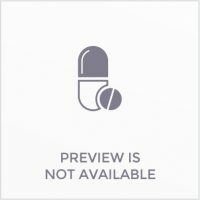 Composition : The Diabetes Care Product contains; Lactose, Sucralose, Microcrystalline cellulose,Pregelatinised starch,Magnessium stearate IP,Polyvinyl pyrrolidone. It helps you control your calorie intake and keep fit. It is ideal for all the fitness seekers, diabetics and weight conscious. Internationally accepted: Sucralose is safe, tried and tested, over 110 safety studies have been done on sucralose and it is approved by US FDA. 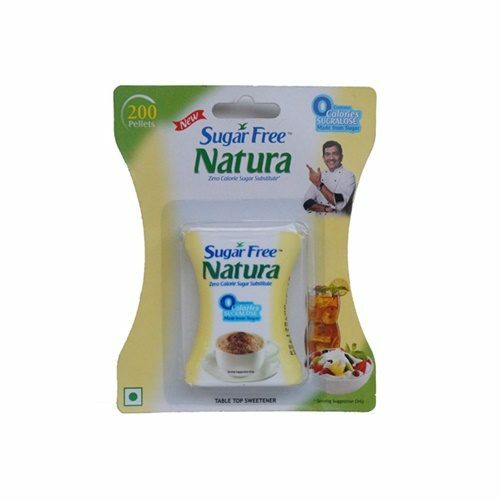 Sugar Free Natura helps to control the calorie intake especially for Diabetic patients. 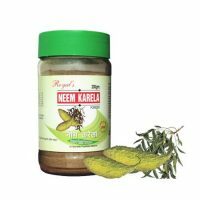 This product can be used in any preparation like Tea, coffee , juice etc. Taste is same as of regular sugar. Dose : 1 pellet is equivalent to sweetness to 1 teaspoon of sugar.